Easy to use via a skimmer or floating dispenser. Contains 55% of available chlorine. Little if any pH balance required. 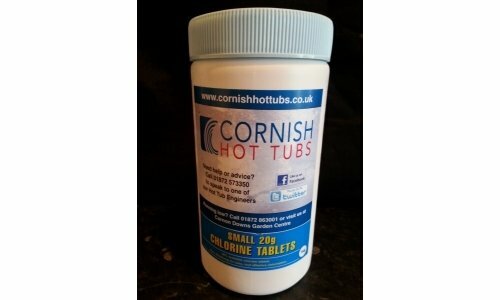 These tablets dissolve slowly, gradually releasing chlorine over 3 to 14 days. They can ideally be used alongside chlorine granules for maximum chlorine control. They must be used via a skimmer or a floating pool dispenser. Take the required number of tablets and place them in the skimmer so that they are totally immersed. Do not throw the chlorine tablets directly into the pool as they will dissolve on the pool floor and may cause staining or bleaching.